When we first found out we were pregnant we didn't really know anyone else with kids. Fast forward 8 months -- we can now name 5 friends who've had babies in the last six months! Crazy, right? Does it seem like everyone around you is pregnant or just had a baby too? 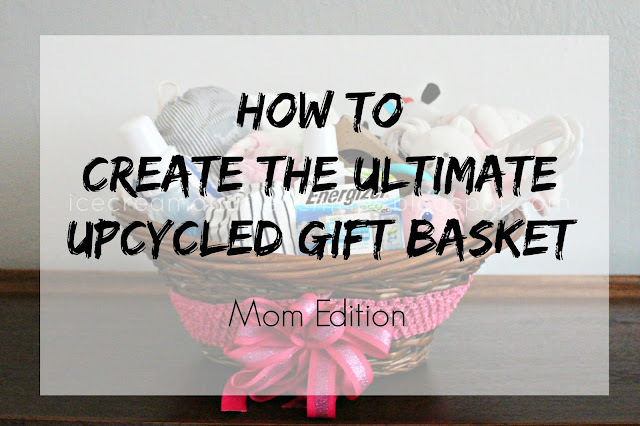 Instead of running out and buying a ton of stuff why not create a cute eco-friendly gift basket. 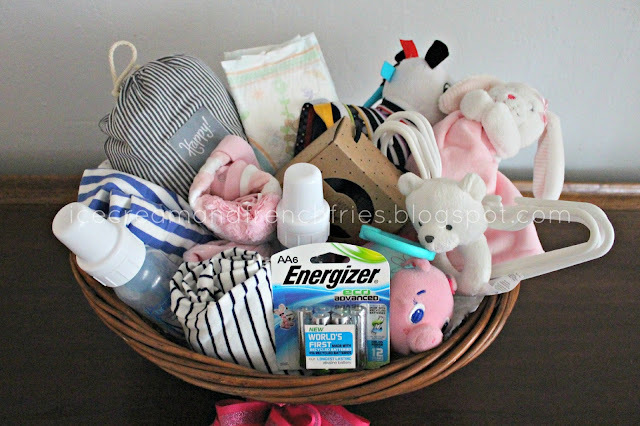 Think about it -- try creating a gift basket that incorporates used and new items. I know, I love getting hand-me-down baby stuff! Most items have only been used once or twice. First, you'll need a tiny helper. 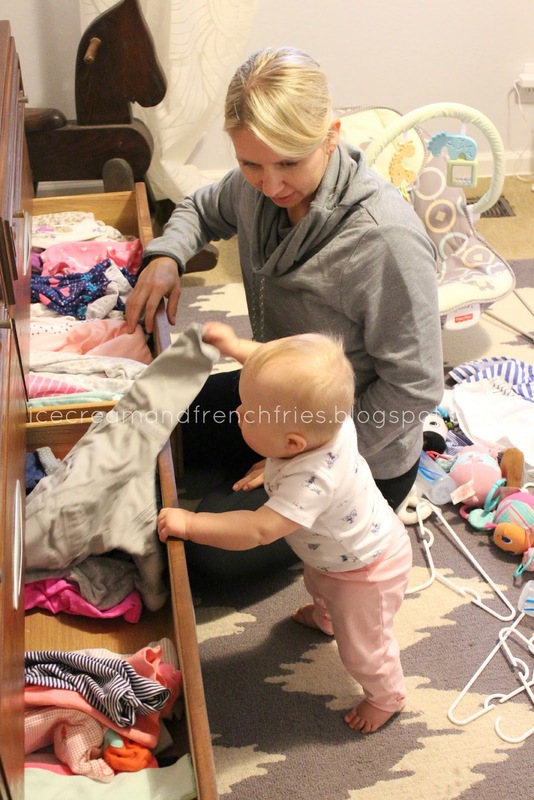 Clearly having a helper makes cleaning way more fun. I forgot to mention you'll need to clean out the closest, dresser, toy box, etc before you can start building your upcycled gift basket. Once you have your helper it's time to start cleaning! Don't worry about making a mess it's more fun that way. 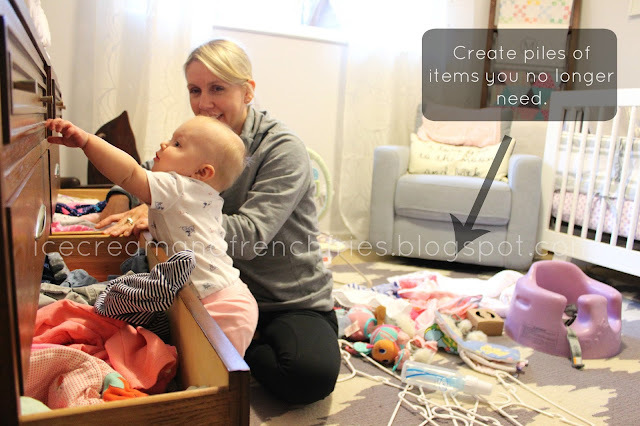 Start by making piles on the floor: keep/store, giveaway [aka gift basket], donate and throwaway. 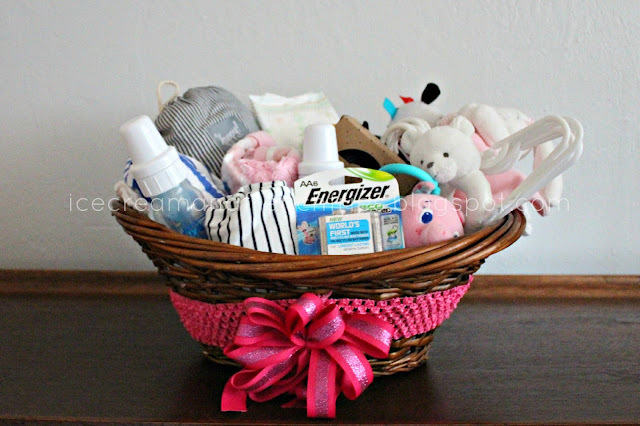 I love how my up-cycled baby gift basket turned out. My friend is going to stoked! Don't forget to add a few new eco-friendly times to round out your gift. I went with a bamboo wrap, handmade moccasins and Energizer® EcoAdvanced™ AA batteries. I found the batteries at my local Walmart, but they can also be found at Target, Home Depot, Lowes or K-Mart. 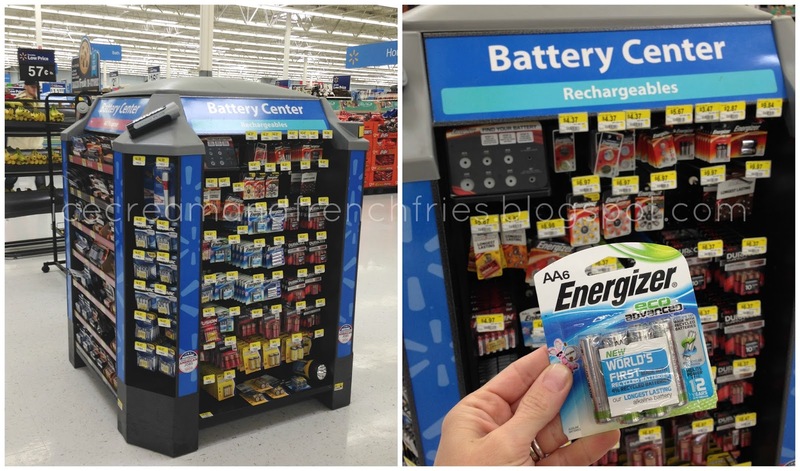 For six AA batteries I only paid $6.37 -- talk about a killer deal when the Energizer® EcoAdvanced™ batteries holds up to 12 years in storage! Yup, I just geeked out about batteries. Energizer® EcoAdvanced™ is the world's first AA battery made with 4% recycled batteries and is Energizer's longest-lasting battery. Try it! Power your most critical devices and have less impact on the planet! Not sure how it works? Check out the below video. How do you reduce, re-use, recycle?